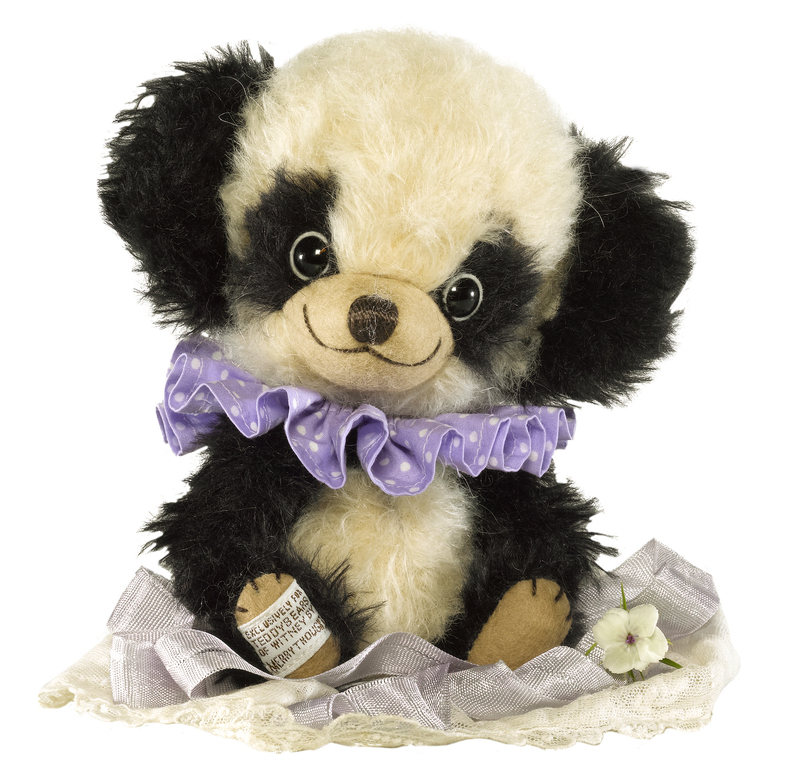 This quirky panda cub is made of distressed, black and white mohair with a pale beige felt muzzle and paws. He has felt discs behind his black safety eyes. Helen of Teddy Bears has made his cotton ruff.